1. What type of pain can be treated? 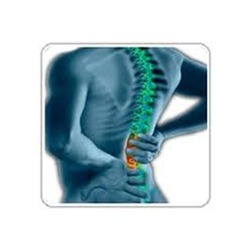 => Low back and leg pain due to contained disc herniations. => The DEKOMPRESSOR discectomy probe removes disc tissue which may relieve painful pressure on the surrounding nerves. 3. Will the procedure hurt? => There should be no pain generated by the DEKOMPRESSOR discectomy probe. This advancement in technology requires only a tiny puncture in the skin; similar to a simple injection. => The total procedure time is generally 15 minutes to 1 hour. 5. What physician training is required to perform this procedure? => Board certification in a specialty such as interventional pain management, orthopedic surgery, neurosurgery, radiology, or physiatry is typical. Physicians should be experienced with discography. 6. Can my pain be cured? => In some cases, pain may be eliminated. In most cases, percutaneous discectomy followed by appropriate follow up care will reduce pain to a tolerable level.